Adult nematodes produce eggs in the host animal. The egg is expelled from the host with the faeces contaminating the pasture. A first-stage larva (L1) hatches from the egg. The larva will moult two times before it becomes a third-stage larva (L3). Once the larva is in its third stage, it’s capable of migrating from dung pats and soil onto moist grass. Larvae can survive up to a year on pasture. Infection occurs when the third-stage larva is consumed with the grass. The larva completes its life cycle in the gastrointestinal tract of its host. Once the adult stage is reached, copulation occurs and the life cycle starts over. Unlike other nematodes, Ostertagia ostertagi can spend part of its parasitic life cycle in hypobiosis, a condition similar to hibernation. Hypobiosis usually begins in the autumn, as temperatures drop. The ‘hibernating’ larvae don’t emerge until spring when they can cause severe damage to the gastrointestinal membranes - a condition known as Type 2 Ostertagiosis. 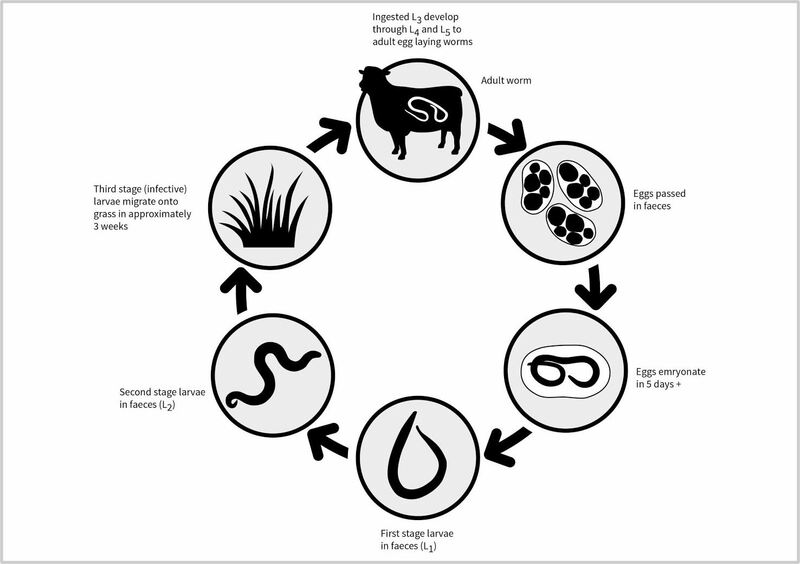 Sirona’s Alpheus Anti-Parasitic Capsule can help prevent the onset of Ostertagiosis as it targets the incoming L3 larvae, preventing the parasite getting to the phase of the life cycle which enters hypobiosis. 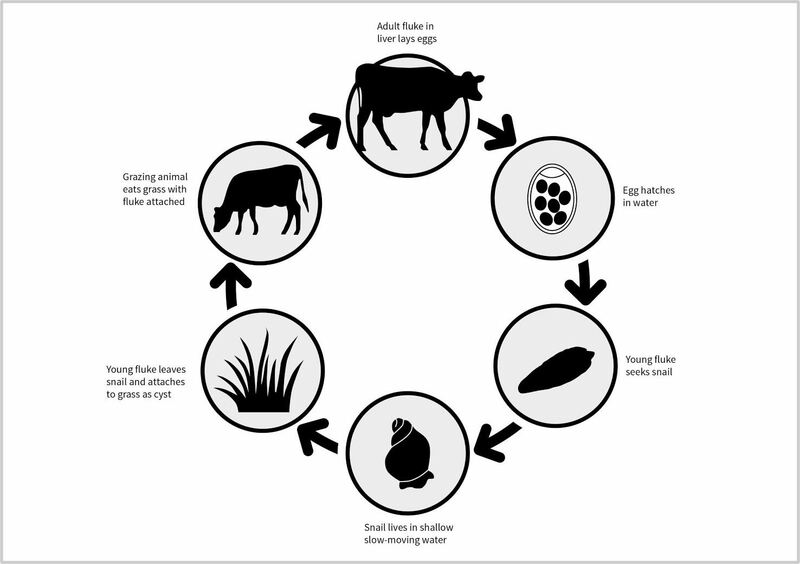 The fluke’s life cycle needs two hosts, cattle and snails. The adult flukes are found in the bile ducts of cattle. The eggs are laid in the ducts and expelled with the faeces. Larvae hatch from the egg and infect the snail, where it reproduces asexually. Specific stages of the juvenile fluke leave the snail and encyst on aquatic vegetation. Cattle eat the vegetation and become infected. The fluke migrates to the liver, infects the bile duct and matures into an adult.